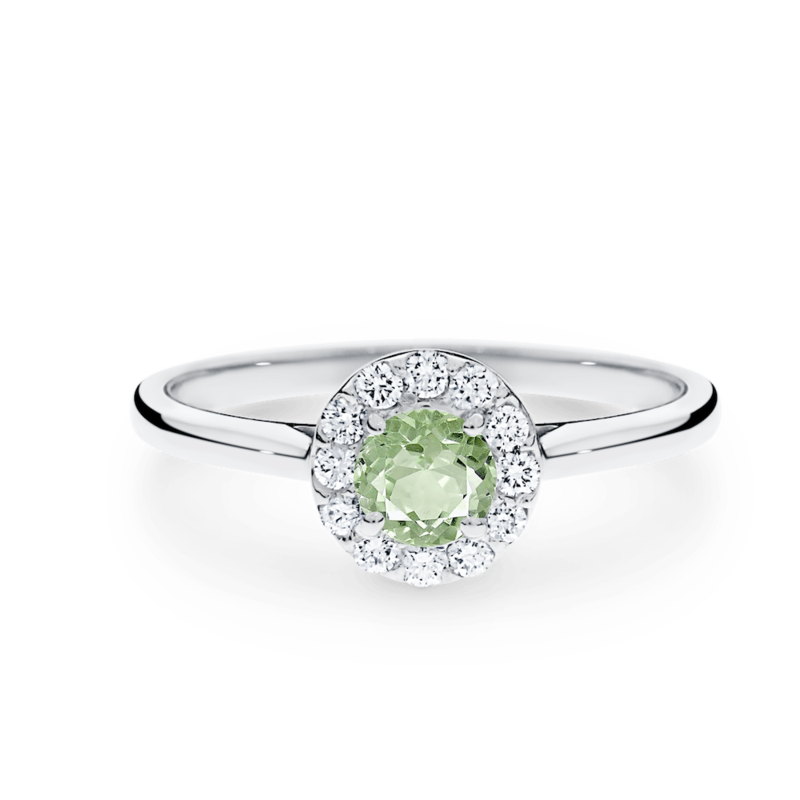 The Enya setting delicately embraces a pale green Amethyst for an appealing aesthetic. Green Amethysts display a gorgeous tint of green making them translucent and versatile to wear. Available in a range of coloured gem stones and carat weights. Available in 18ct white, rose and yellow gold or 950 platinum.